Most people know that the American Revolution began in Boston. But many people don’t know that the nation’s Civil War – the war that ended slavery – also began in Boston. Led by William Lloyd Garrison, a group of Boston abolitionists, black and white, male and female, organized an unrelenting campaign against southern slavery. They were determined to lead a Second American Revolution to force the nation to live up to the promises of liberty and equality contained in the Declaration of Independence. When war came, Boston remained at the forefront: the first Union soldiers to die were Massachusetts men killed at the “Lexington of 1861.” Boston’s soldiers included descendants of Revolutionary War patriots, members of the first black regiment raised in the North, and newly-arrived Irish immigrants. Women activists opposed both slavery and their own lack of legal rights. Packed with 60 photos, this fast-paced 190-page book will take you on a thrilling and memorable journey through Civil War Boston. 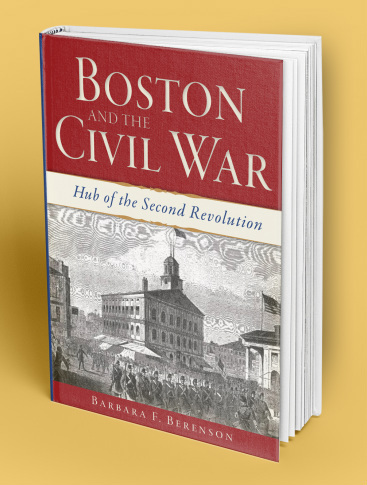 Order Boston and the Civil War: Hub of the Second Revolution on Amazon.com!